Why risk your expensive mic on an inexpensive stand that's easily toppled? 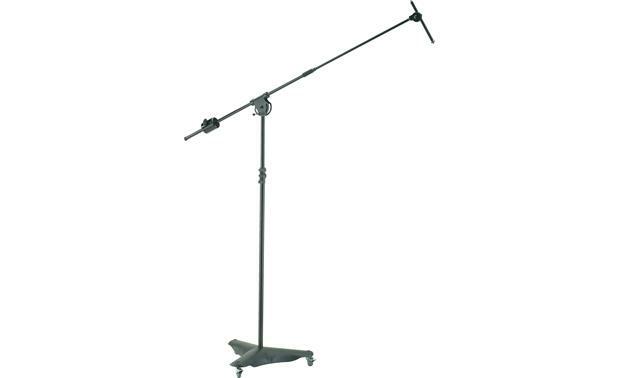 This K&M overhead mic stand will be the mainstay of your studio. With three lockable castor wheels and a heavy metal base that provides a low center of gravity, you can easily reposition your setup on the fly without a worry. The package includes an extendable boom arm (5/8" connecting thread) and a fully adjustable mini boom arm with 5/8" and 3/8" connecting thread. Warranty: 5 years. 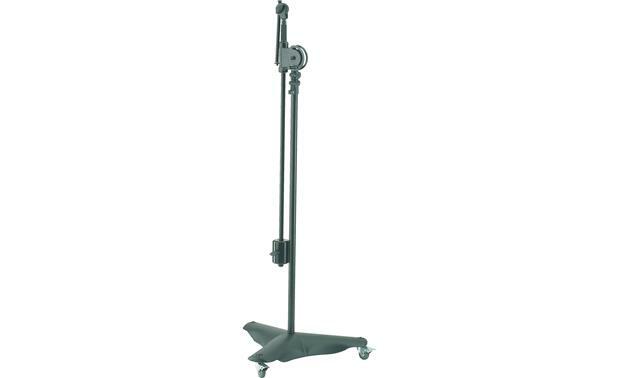 Overview: The K&M 21430 is a heavy-duty overhead microphone stand designed for studio and stage use. 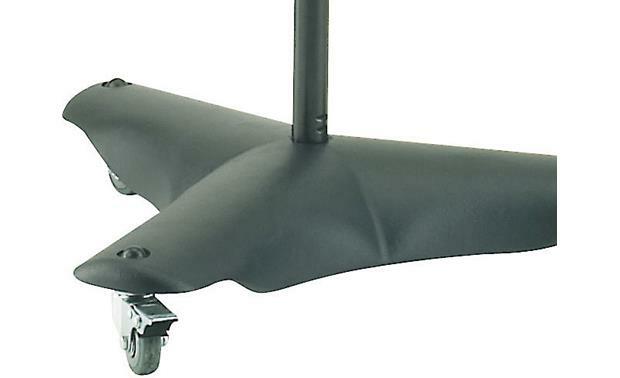 It features a cast-iron base with 3 lockable casters, an adjustable stand-rod that can vary in height from 52.8" up to 87.0", and a boom-arm that can extend from 42.13" out to 73.62". The top of the stand-rod includes a swiveling mount, with a T-bar locking handle, that allows the boom-arm to be raised or lowered with 180˚ of travel as well as letting it slide forward or backward for increased extension. The boom-arm also includes an adjustable counter-weight that can be moved up or down the boom-arm for proper balancing. 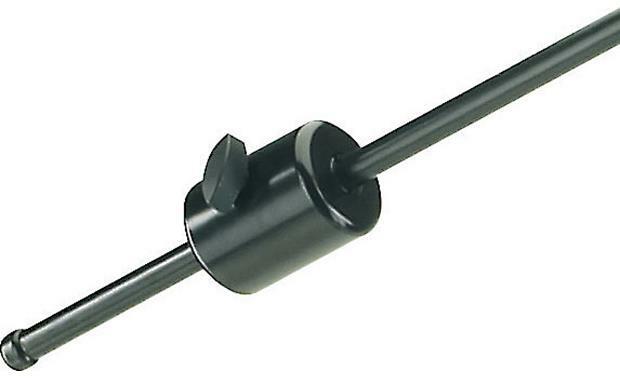 The boom-arm is terminated in a 5/8" threaded end that has a 10" mini boom-arm pre-attached, but can be removed if adding a 5/8" microphone stand-adapter and not using the mini boom-arm. The mini boom-arm includes a 3/8" threaded male post on one end and a 5/8" threaded male post on the other end, both with locking collars, making the mic stand compatible with just about any microphone stand adapter. The mini boom-arm's attachment to the boom-arm allows it to be rotated 360˚ and tilted almost 180˚. 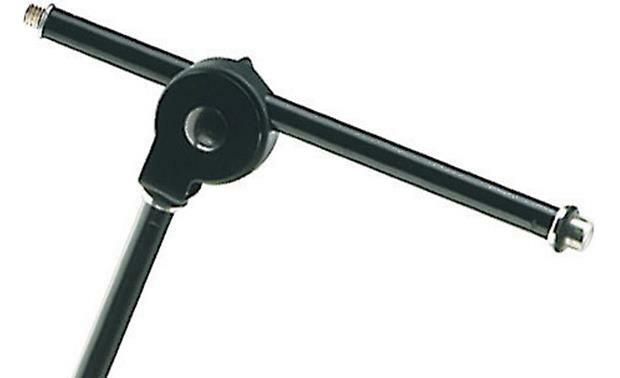 Stand-Rod Height: Adjustable from 52.8" to 87.0"
Boom-Arm Length: Adjustable from 42.13" to 73.62"
Searches related to the K&M Overhead Mic Stand Heavy-duty stand with wheels (Model 21430).